Valve has revealed that Steam on PC will soon be receiving an update that will enable it to natively support the PlayStation 4 DualShock 4 controller. The announcement was made by Valve engineer Jeff Bellinghausen at the company's Steam Dev Days conference. 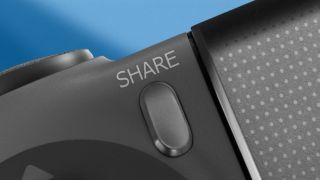 In a transcription from Gamasutra, it appears that the Dualshock 4 controller is simply the first of many planned controller support additions that will come at a later date. Bellinghausen’s co-host, Defender's Quest developer Lars Doucet, said that at the moment support for the DualShock 4 on PC "is a bit weak". Fortunately, Steam’s update allows it to communicate directly with the PS4 controller. The connection becomes "nice and reliable" particularly as "it's got a lot of overlapping functionality with the Steam Controller". According to Doucet, when a DualShock 4 controller is connected to the Steam API, it essentially becomes the same as a Steam controller, allowing players to "use all the configuration options available to the Steam Controller, including use of the PS4 touchpad and gyro". As a result of its overlapping functionalities, it makes sense that the PlayStation 4 controller will be the first to receive support. Although support for other controllers is coming, it wasn’t made clear which other controllers specifically would be getting the nod or when exactly we could expect to see it. Regardless, this is exciting news for gamers who enjoy using a controller but aren't particularly fond of Steam's own offering, or simply prefer the familiarity of their DualShock 4. It's a good deal more customization of the gaming experience than we're used to seeing, and it'll only improve when further controller support is added in the future.